The price is set up at the amount of 62500 Euro. Engine/driveline: Euro 5, diesel, engine cylinders: 6, 320 hp, differential lock, gearbox: automatic, transmission: Automatikgetriebe, power take-off. Wheel formula and suspension type: suspension: spring, front axle suspension, 4x2, number of axles: 2, steering axles, wheel base: 4500 mm, ABS, front tires: 70%, rear tires: 90%, dual wheels, trailer coupling. Cab comforts include cab type: day cab, fog lights, sunvisor, power windows, electric mirrors, central lock, air conditioner, cruise control, radio, CD. 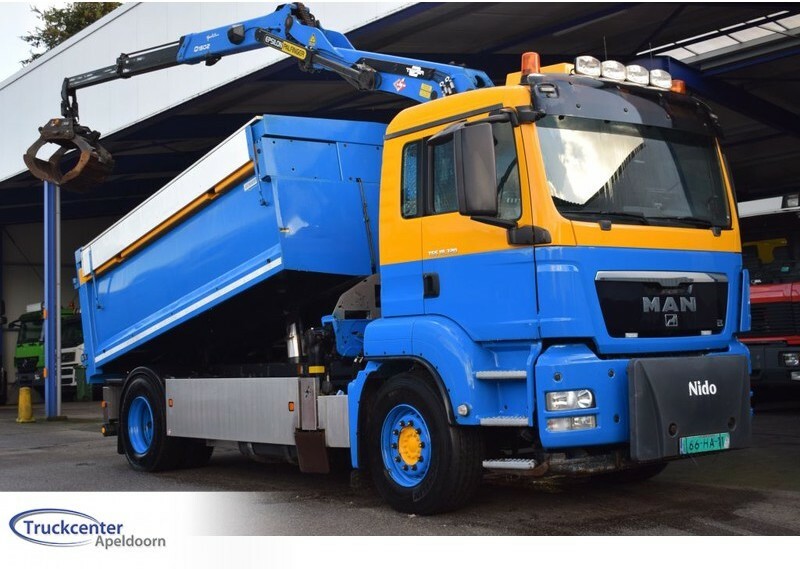 Body: loading length: 4300 mm, loading width: 2500 mm, loading height: 1000 mm, rear tipper. The payload is 6960 kg.